From Alpina to Tudor, dive watches were seen in abundance at this year’s Baselworld. iW sat down with Guido Benedini of Alpina to talk about Alpina’s history with diving, since the brand is usually known for their involvement with aviation watches and skiing partnerships. Alpina’s history with diving goes back to the company filing a patent for the watertight crown from 1933. 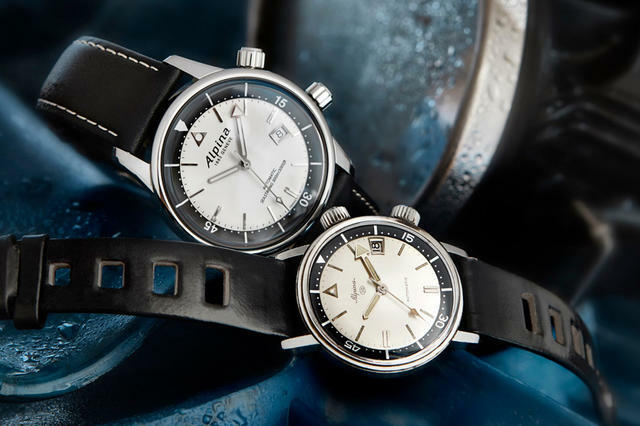 The current collection expands on the watchmaker's history with their inventions and innovation in water-resistant watches. More than a replica, a modern interpretation of a Swiss watchmaking classic, the Seastrong Diver Heritage debuted this past March at Baselworld. This model contains properties from the Alpina 4 from 1938, which contained four impressive features: antimagnetic properties, Inabloc impact protection, stainless steel case and a water-resistant case. 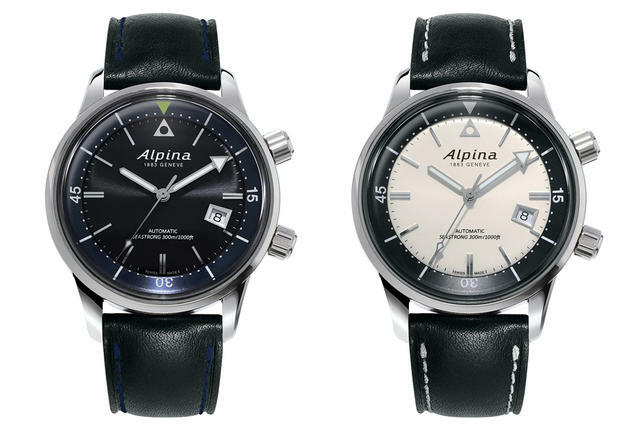 In 1967, Alpina debuted its highly regarded Alpina 10, which featured the Super Compressor case. This case was water resistant up to twenty bars and housed the 572C automatic caliber. The design of the case includes a grid pattern on both crowns and on the inner side of the case back by a depiction of a diving helmet. For example, the arrow can be positioned so that the approaching hour hand indicates when parking time is running out. The modern AL-525 automatic caliber ensures precise timekeeping. The balance wheel completes 28,800 vibrations per hour and fully wound has 38 hours of power reserve. The watch is available with a light or dark dial.